“Most people assume that a muse is a creature of perfect beauty, poise and grace. Like the creatures from Greek mythology. --a gaping hole between what she is and what she might be. The ideal muse is a woman whose rough edges and contradictions drive you to fill in the blanks of her character. 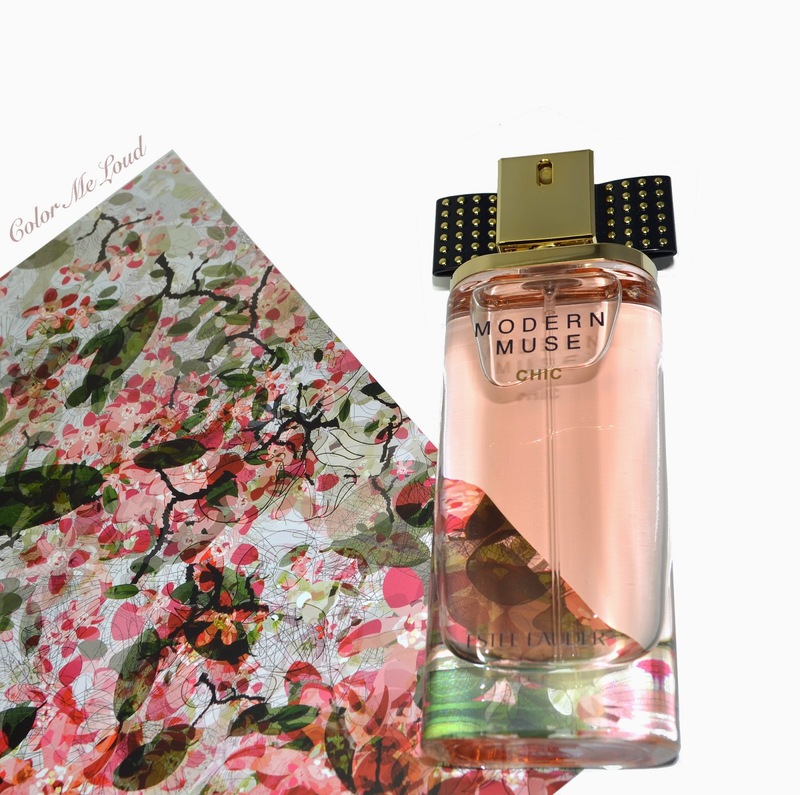 by Kathleen Tessaro from her book "The Perfume Collector"
Estée Lauder released this month a new version of their popular perfume Modern Muse, called Modern Muse Chic. The new flacon is decorated with a studded bow around its spray, which looks modern and complements the feminine pink and gold appearance. By the first spray Modern Muse Chic takes me to a tropic place by the warmth it radiates. Plum notes reveal themselves playfully. Already in about ten minutes, jasmine zambac quietly enters the scene. I always feel happy subtle jasmine accord since it reminds me of the jasmine plant in our summer garden and the scent I used to enjoy as the breeze carries it to our balcony. Jasmine stays in balance with plum as Artemisia neutralizes the sweetness of the plum and prepares a neutral base for tuberose and lily. I appreciate the fact that Modern Muse chic never becomes sweet. Tuberose is the star of the show on my skin, becomes potent after half an hour to forty five minutes and builds the white floral mood with its little helpers, Stargaze Lily and Jasmine which yet manages to linger. At this stage, Modern Muse Chic becomes a bold oriental beauty, showing its carefree self-conscious presence with a moderate sillage. Tuberose appearance here reminds me ever so slightly of Estée Lauder's Pleasures, which I used to enjoy during university years, yet another pleasant memory. To me they are yet very different, Pleasures can be differentiated by its spicy notes. First exotic then oriental, what next one wonders. As the scent starts becoming close to skin after four to five hours, the quiet woody notes starts dominating with clean skin like musk and soft leathery tunes. The base of Modern Muse Chic is complex and well blended. It is very pleasant, in fact my favorite part of the experience. Right on time as one start believing the tuberose would never get quiet and sing until the end, the scene slowly changes and revolves around this new sophisticated concept. Although oud is listed in the notes, I wouldn't describe Modern Muse Chic as an oud fragrance since the base is rather quiet, softer, a little musky and leathery too. I have chosen the photos according to the moods Estée Lauder's Modern Muse Chic evoked in me, you can see one photo for each top, heart and base notes. I hope you enjoyed the visuals and this review. 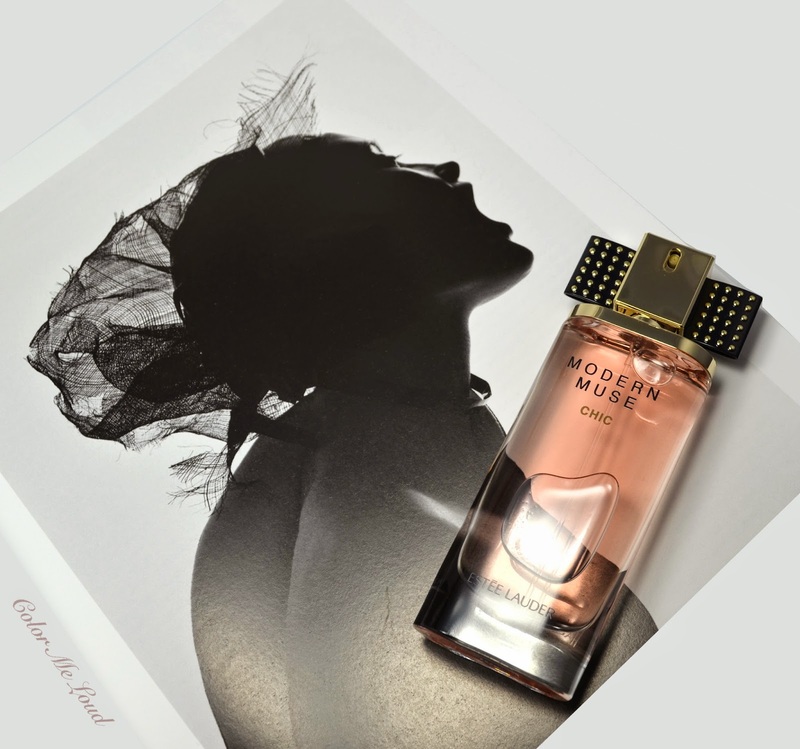 Final thoughts: The new interpretation of Estée Lauder's Modern Muse, Modern Muse Chic is definitely a fragrance white floral and tuberose perfume lovers shouldn't miss. Once the weather gets colder, I believe I will enjoy its warmness even more. Availability/Price: To the best of my knowledge, Estée Lauder Modern Muse Chic Eau de Parfum is now on the counters worldwide. It is available in 30 ml and 50 ml (photographed above) for around 49.99€ and 76.95 respectively. 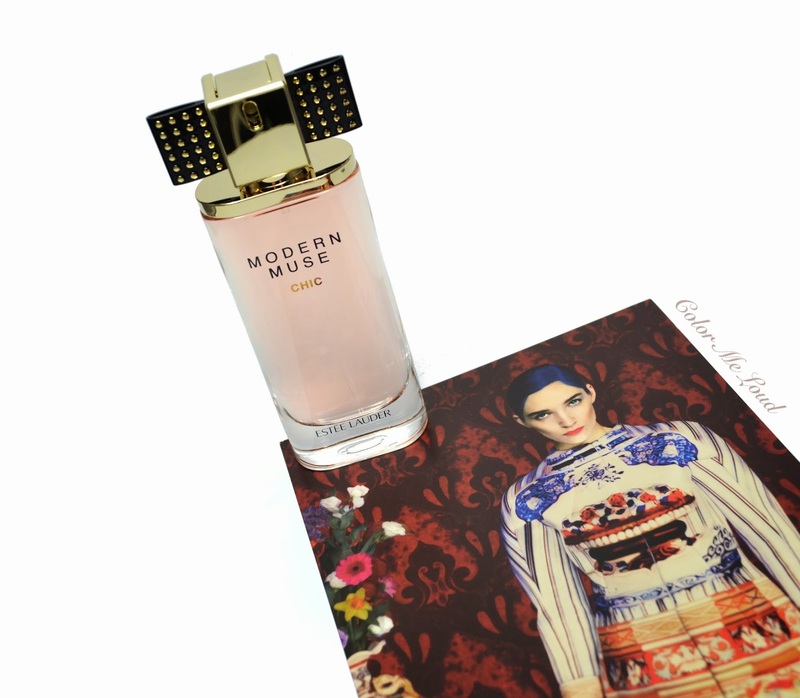 Have you sampled Estée Lauder Modern Muse Chic yet? Hey Sara, great review! I haven't seen this one yet, but I think I might like it more than the original Modern Muse! It's a beautiful idea to choose images according to how the scent makes you feel as well. Well done! that is very sweet of you, thanks so much. I would love to hear your thoughts about it as well. I like it more than the original. i have the same post about modern muse!! see my inspiration! hugs! Just checked it out, love your outfits in that one. Thanks for dropping by. WHAT!? I only just got Modern Muse, and I had thought that was a fairly recent release. Chic sounds really nice though, can wait to smell it out. Thank you for the lovely review! Great review! Love the packaging and I am so curious on its scent. Will def check on this. Wish I could try out samples of it. Oh gosh, now you made me want this!!! But i must say upfront that I used to really enjoy Pleasures when I was much younger, and now it just nauseates me. Too much of a good thing? LOL Linda, just go and check it out. I have similar feelings about Pleasures. A friend of mine uses it at the moment, I notice it, not in a good way. It is interesting thinking how many years I used it. Maybe our senses change over time.